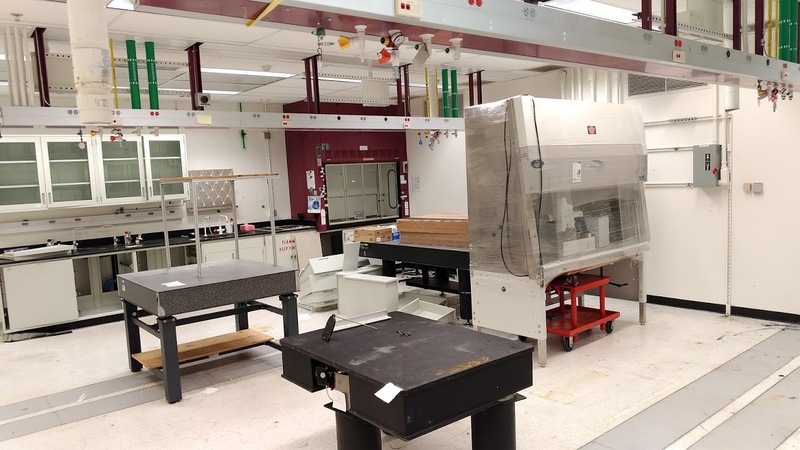 Currently, NIST is investing in a new type of metrology laboratory that is focused on the unique reference material and high quality assay protocols that are needed in the regenerative medicine and biotechnology communities. The laboratory design is centered on automation that can set up 1000’s of experiments for the purpose of designing fit-for-purpose reference materials, identify sources of variability in bioassays and generate specifications that assure confidence in an assay measurement system. 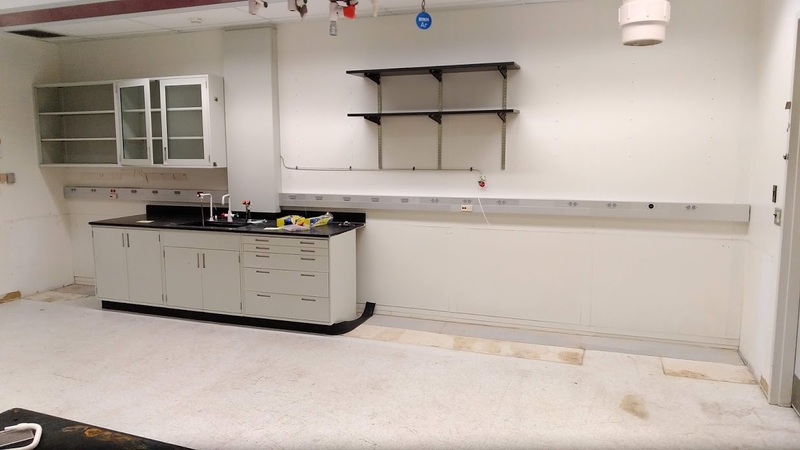 We have taken this opportunity to redesign our traditional laboratory layout into a modular laboratory space that would allow flexibility in both instrumentation (new or existing) and experimental designs for exploring the measurement science in important assays for the biomedical and biotechnology community. 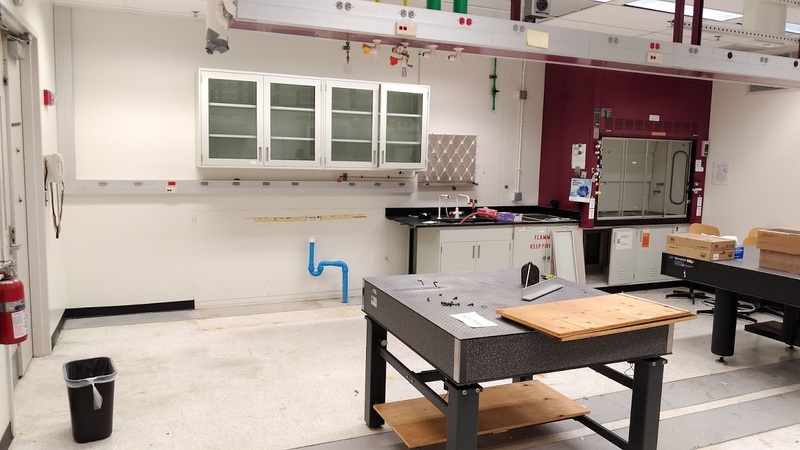 Below we will highlight the progress in the retrofitting of an existing laboratory in Bldg 227, Rm B203. 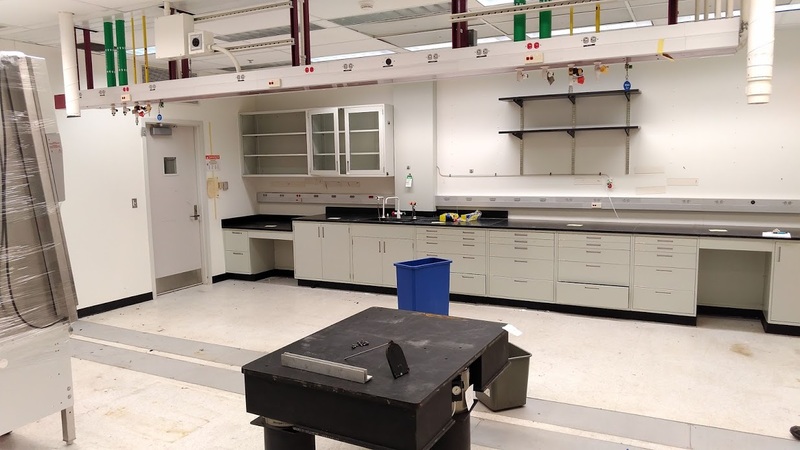 Nov 27, 2018: Removal of Optical Tables: The laboratory was originally a spectroscopy laboratory complete with 2 large optical tables and several smaller ones. 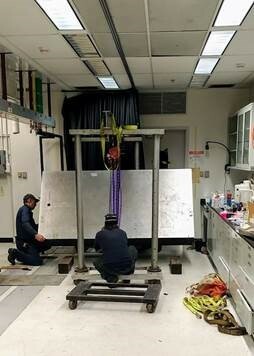 The large table will be removed to generate an open laboratory space. 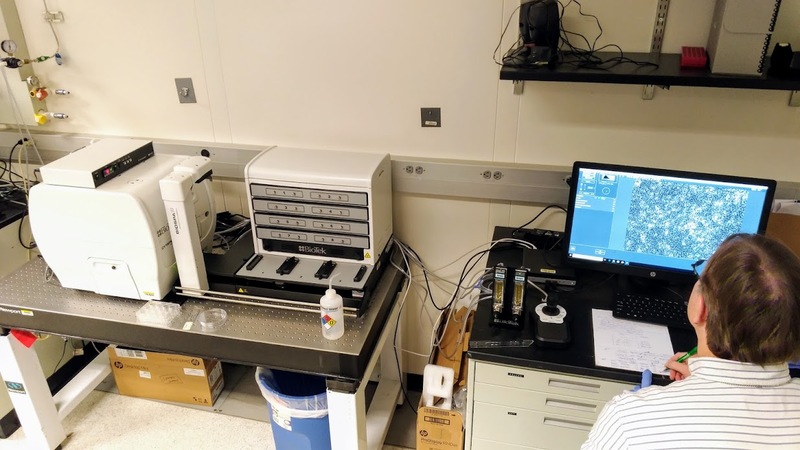 Single cell printer system: The single cell printer system enables gentle distribution of defined cell numbers into wells of any standard sized cell culture plate using bright field imaging combined with a modified ink-jet printer technology. Individual cells are imaged in real time prior to droplet formation, when cell(s) matching user-defined criteria appear, droplets are formed (nano liter scale volume) and deposited in the well. Our immediate uses include single cloning of gene engineered reporter cell lines and single cell based analyses. Cell Imaging Multi-Mode Reader: NIST is using a imaging system that combines live cell microscopy imaging and plate reading capabilities to enable multimodal cell measurements not achievable by microscopy alone. 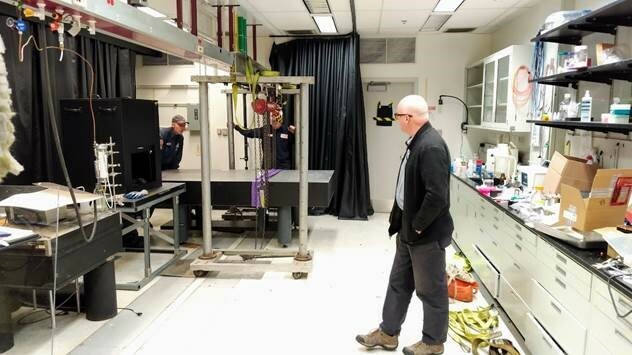 The imaging system is serviced by a plate loading robotic arm and scheduling software to exchange plates in an incubator, enabling investigators to have multiple time lapse experiments running in parallel. 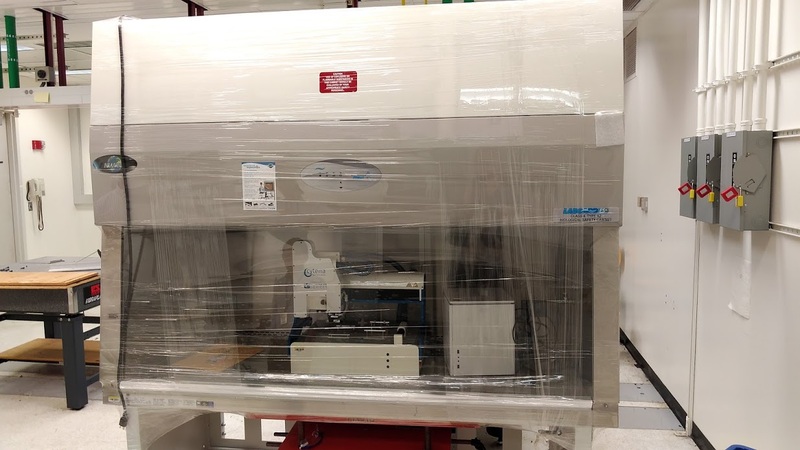 This system can advance measurements of cell viability and function parameters to achieve engineering biology program goals.